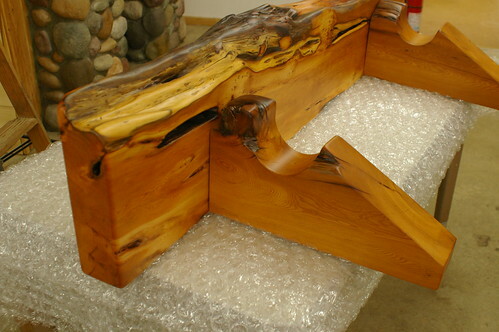 A recent Pacific Yew mantel project. Every once in a while we are lucky enough to uncover natures wonder in wood. 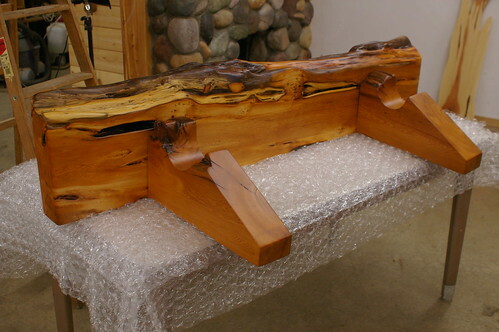 This Pacific Yew mantel(mantle) with Yew corbels/supports is being shipped to our customers with a great deal of delight on our part. It is so rewarding to put three pieces together, like these, that are meant to be. We feel privileged to participate in providing a piece of nature for our customers. Especially when we know it will bring pleasure and warmth to their home and they are kind enough to share their thoughts with us……..